Eco Inn은 쿠스코의 중앙 광장에서 가까운 도보 거리에 있으며, 쿠스코 최대의 공예품 시장 바로 앞에 자리 잡고 있습니다. 이 숙소는 조식 뷔페가 포함된 현대적인 객실을 제공합니다. 각 객실은 LCD 평면 케이블 TV를 갖추고 있으며, 일부 객실에는 발코니가 딸려 있습니다. 숙소 전역에서 무료 유선 인터넷 이용이 가능합니다. Eco Inn의 Inka Tak Spa에서는 육체, 정신, 영혼에 활기를 불어넣는 잉카 문화의 특별한 재료와 기법을 이용하여 독특한 분위기 속에서 특별 트리트먼트 및 편안한 마사지를 제공합니다. 이 스파는 사우나, 온수 욕조, 특수 산소 라운지를 갖추고 있습니다. Atrium Café는 물을 테마로 꾸며져 있으며, Wi-Fi도 제공합니다. 기존 침대를 이용하는 어린이에게는 조식이 제공됩니다. 현지 지방세법에 따라 페루 시민과 페루에 59일을 초과하여 체류한 외국인에게는 18%의 추가 요금이 부과됩니다. 18%의 추가 요금(IVA)을 면제받으려면 입국 신고서 사본과 여권을 제시하셔야 합니다. 요금 면제를 위해서는 2가지 서류를 모두 제시해야 하며, 그렇지 않을 경우 요금을 지불하셔야 합니다. 인쇄된 청구서가 필요한 외국인 비즈니스 여행객에게도 페루 체류 기간과 관계없이 18%의 추가 요금이 부과됩니다. 해당 요금은 총 예약 요금에 자동으로 합산되지 않습니다. 예상 도착 시간을 Xima Cusco Hotel에 미리 알려주십시오. 예약 시 별도 요청란에 기재하거나 예약 확인서에 기재된 숙소 연락처로 직접 연락하셔도 됩니다. 모든 투숙객은 체크인 시 사진이 부착된 유효한 신분증과 신용카드를 제시하셔야 합니다. 모든 별도 요청 사항은 체크인 시 가능한 경우에 한해 제공되며, 추가 비용이 부과될 수도 있음을 안내드립니다. 규모 크고 시설 좋은 고급호텔입니다. 24시간 코카차 제공, 조식 좋습니다. 다만 아르마 광장가려면 도보 20분 정도 약간 오르막길 걸어야하는 거리인데 고산지대, 가는 길의 매연 고려하면 왕복이 만만치않습니다. Overall the hotel deserves 4 stars; the room was clean, the staffs are very friendly to take care of my luggage etc. They all speak in English too. 3 min walk to Perusal station, Wanchaq for Andean explorer to catch the morning departure. Our room was super, bathroom great. Bed comfortable, towels changed regularly. Presentation and quality of evening meal was very high. However service was poor. They seemed more concerned with clearing tables than serving guests. Only one young waitress seemed to be doing any work. Our meals came at different times, so my husband had finished before mine arrived. - and I was sure it had been sitting in a hot plate. The breakfast had a good range but the hot food was not very hot. The coffee was awful. Wifi was ok, we had it in our room if we sat near the door. Took a bath and the overflow was not plumbed in so water went all over the bathroom. We informed the reception but they did nothing. Our stay was excellent only marred by the fact that I was feeling grim with altitude sickness. Hotel and staff were perfect for our needs. 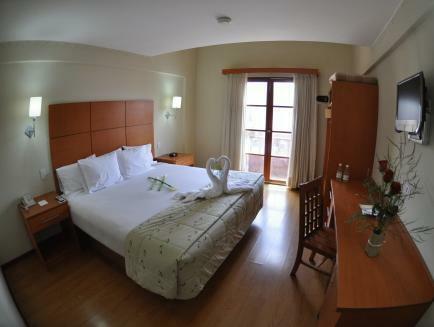 We had a fantastic stay at Eco Inn Cusco. The high altitude was difficult at times but the hotel provides free coca tea which helps with the altitude sickness. The breakfast is very nice and there is a lot to choose from. We spent two night's at the Eco Inn Cuzco prior to joining our Inca Tour, to acclimatize to the altitude, and you need to do this because the air is so thin (lack of oxygen). It's a lovely little hotel with a central courtyard to relax in and have a drink or snack, because if you go out walking, even gently, you will return exhausted. The whole building is arranged on the hacienda style with influences of Spanish and Mexican architecture. The rooms are cosy and quaint and the bathrooms are more than adequate. We got a great rate booking through Agoda, so yes, we highly recommend this hotel. Everything's running smoothly. I had a great time staying there,food was excellent and the service are A+! Looking forward to come again. About 5- 10 mins away from the plaza del armas. Clean rooms, more like a business hotel. Breakfast is pretty good with a good variety of food. Service is friendly too. Overall a good experience. Though there was a mix up with our dates, the staff went out of their way to accommodate us. My wife was ill and the reception desk connected us to a medical facility. Food was ok, breakfast included was good, rooms were big and comfortable and heater included for cold nights. Courtyard in centre of hotel echoed noise to room. Heater in room was excellent! Room service was available, nnice room, comfortable however there was abit of outside noise at night as the hotel rooms share a common courtyard in the centre. the hotel was new, very clean, comfortable, had a convenient location and great breakfast. we stayed in the hotel for two nights in august 2011 for our trip to machu picchu. our stay was excellent. the hotel was new, very clean, comfortable, had a convenient location and great breakfast. it also had a spa, but unfortunately we did not have time for it. the staff was very efficient and very helpful. we stayed on the 4th floor with windows facing the inner courtyard and it was very quiet. the room was spacious and crispy clean. the elevators were new and fast. i would not worry about the location of the hotel in cusco as almost everything is in 10-15 min walking distance or 1$ (s3) cab ride. 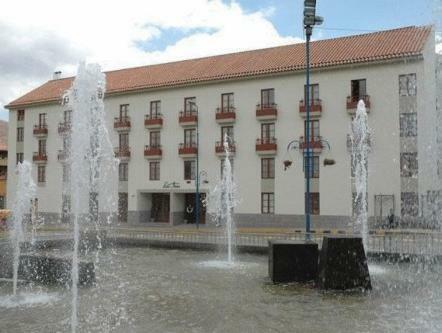 also, the hotel is conveniently located between the old town centre, bus terminals (that leave for puno), and different offices that you might need (starperu, lan, perurail, and consettur office to buy bus tickets to machu picchu beforehand, as you can not buy them on-line. you can buy tickets for perurail and machu picchi on-line beforehand, which i would highly recommend at www.machupicchu.gob.pe and https://www.perurail.com/en/). 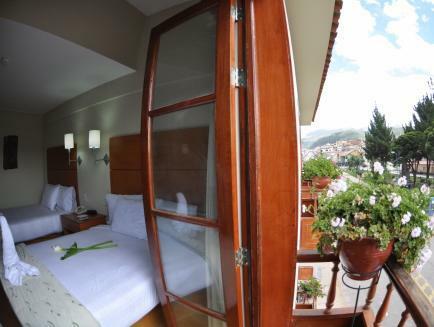 i would recommend this hotel to anyone travelling to cusco. i also wanted to share the extraordinary story that happened to us after we left the hotel that deserves a great deal of gratitude. we left very important documents and substantial amount of money ($440) in the locked safe box in our room. we realized the loss in puno, 24 hours after we checked out from the eco inn cusco hotel. after my phone call to the front desk, the hotel staff was able to locate our lost documents and money, every single cent of it. the turnaround time was exceptional. we had our documents and $440 in our lima hotel within few hours after the documents were found with no questions asked and no fees charged. i truly could hardly imagine the outcome like this. i want to thank the staff again for such a great experience we’ve had. Me encanto, lo recomiendo, ademàs muy seguro,el dia que dejamos el hotel dejè la billetera en la caja fuerte, y la pase a buscar dos dìas despues, estaba todo intacto. Muy buen servicio.